This week’s gambling news is dominated with new slots games so let’s dive right in and see what’s making the headlines this week. Leading online gambling technology provider Playtech has signed a multi-year licensing agreement with Warner Brothers Consumer Products to develop a number of DC Comic’s superhero movie characters into real-money online gambling products which are scheduled to be released later this year. The games will be available at leading Playtech powered online casinos which include Dafabet Casino, Video Slots Casino and Omni Casino. Games based on the 1960’s Batman television series, the early 1980’s Superman films, the 2013 reboot of Man of Steel and the 2011 Green Lantern film are among the titles to be released. 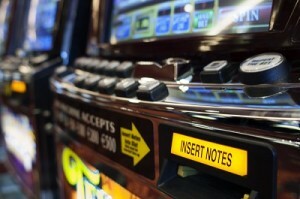 Playtech will be using their experience and design expertise to invest in the design and build of the DC Comics slots. Mor Weizer, CEO of Playtech said that Playtech’s best performing in-house and premium branded casino content will be further strengthened through their partnership with Warner Brothers Consumer Products and the launche of the DC Comics branded games. Microgaming is thrilled to announce that it has entered into a licensing agreement with Universal Brand Development Company that will allow it to follow up on its popular Jurassic Park slot game by releasing a new title in the Jurassic Park series titled Jurassic World. Jurassic Park slot, based on the successful movie of the same name, has been one of Microgaming’s most successful branded slot games to date since launching in August 2014 after the group signed a franchise deal with Universal Brand Development in January of 2014. The new Jurassic World slot will be based on the blockbuster movie that was released by Universal Pictures in the summer of last year, 22 years after the original Jurassic Park movie. The film is currently the fourth-highest grossing movie in history. 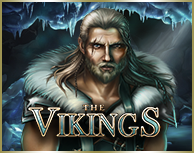 A date for the release of this new slot game has not yet been announced by Microgaming. Yggdrasil Gaming has announced that it has entered into an agreement with popular online gambling company bet365 Casino that will see it bring its entire award-winning product offering to bet365. The agreement will enable bet365 to add Yggdrasil Gaming’s innovative video slot games to their casino offering, giving their players an opportunity to enjoy Yggdrasil’s complete suite of 18 innovative video slots which include popular games such as Winterberries slot, Reef Fun slot, Jokerizer slot and Vikings Go Wild slot. According to Fredrik Elmqvist, the Chief Executive at Yggdrasil Gaming, they have been speaking with bet365 for some considerable time and are thrilled to be starting 2016 with a bang by signing on this leading operator. He added that this new deal is an extremely important moment for Yggdrasil as they endeavor to capitalize on the huge growth that they achieved in 2015. Asia Gaming is celebrating the Chinese Lunar New Year that commences on Monday, 8th February, 2016, by releasing its latest slot game titled “Year of the Monkey”. The 1,024 ways to win “Year of the Monkey” slot game is available in HTML5 and Flash-based versions and offers players a Free Spins feature that can be re-triggered. Asia Gaming’s Sales Director, Kevin Chiu, revealed that the new release shows their strength in knowing exactly what players want in the Asian markets. Chiu also said that the game has a great math model and a theme that fits perfectly with the Chinese Lunar Year and the Year of the Monkey.